There are two primary kinds of fundraising that organizations use to increase donations: active fundraising, which requires large amounts of time and resources (like a car wash), and passive fundraising, which goes on in the background and requires little effort on your club’s part. 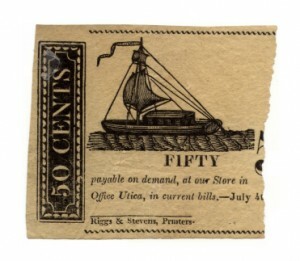 Traditional scrip fundraising falls somewhere between active and passive. 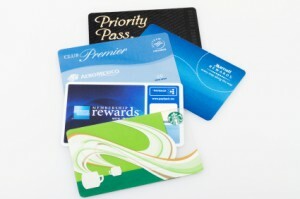 Clubs are required to purchase gift certificates or cards from participating merchants at a discounted rate, then sell them at full value to supporters. The money earned on the sale then goes straight to the club, or in part to a middleman company that facilitates the club’s initial scrip purchase. Electronic scrip programs have become popular, in large part because they eliminate the need for clubs to actively raise funds. Supporting shoppers register their loyalty cards, credit cards, and debit/ATM cards online, and choose your club as a recipient of their donation. Every time they make a purchase at participating stores, a percentage of the sale goes straight to your group. The more money your supporters spend, the more money your booster club receives. This mode of passive fundraising has proven to be very successful for many clubs. Creators of the eScrip program say that over 15 years they’ve helped U.S. schools and non-profits generate $380 million nationwide. Currently, more than 2,300 booster organizations are enrolled in eScrip alone. The average group makes somewhere between $3,000 and $10,000 a year from scrip fundraising, but some schools find scrip programs particularly suited to their circumstances and are able to raise much more. At Leland High School in California, the school Booster Club has received more than $34,000 in donations from eScrip purchases. Who benefits from electronic scrip programs? Electronic scrip programs like eScrip are generally a win-win for booster clubs — there’s no upfront fee for participating, very minimal effort is required to maintain the program, and it’s an easy, low-pressure way for supporters to donate. For a small processing fee (at eScrip, 15 percent of each donation) your club can receive continuing donations while volunteers are free to focus on other efforts. Your club can also benefit in a major way from the connections scrip programs forge with local businesses, and set up a foundation for other fundraising partnerships within your community. Encouraging your supporters to shop with electronic scrip programs in turn urges them to support these merchants. Fostering these new partnerships can be as easy as showing your thanks to participating retailers on your club’s website. With eScrip in particular, retailers determine the percent of each purchase that your club receives in donation, so be sure to establish good relationships with your new fundraising partners. Through eScrip specifically, booster clubs can partner with other organizations to increase their pool of existing supporters, and resources for outreach. Shoppers are given the option of choosing up to three neighboring schools to support, giving your club a chance to work collectively with other student organizations. If your school has individual booster clubs, for instance, the band boosters might partner with the tennis boosters to get more publicity for signup drives. How can my booster club participate? To enroll in these programs, clubs must be registered as 501c3 non-profits. Once you’ve enrolled your club in a program, for electronic scrip programs like eScrip, it’s as simple as getting the word out to your supporters. Post a link to the shopper registration page on your club’s website, and have your volunteers encourage community members to sign up and get spending. Be sure to make note of participating merchants’ subscription rules, as some larger companies like Safeway require annual re-enrollment of their loyalty cards in the eScrip program. Check out Boosterland’s next scrip post to learn about getting the most from your scrip fundraising campaign.